A Man Shed Live Polio Virus In His Stool For 28 Years : Goats and Soda That's the longest span for one individual to excrete the live virus in history. It's not the norm, that's for certain. But how much of a concern is it in the war to wipe out polio? No trace of polio has been found in Nigeria since July 2014. 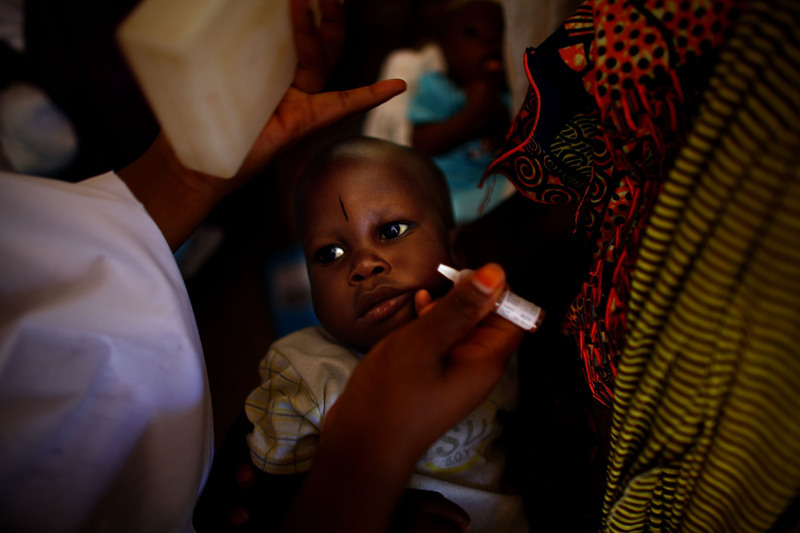 Above, a child at a health clinic there is immunized. New findings about how long the polio virus can be excreted by some individuals make it clear that vaccine vigilance is critical. Polio is almost gone from the face of the earth. The virus is actively circulating in only two countries, Afghanistan and Pakistan. But now there's a worrisome new development in the polio end-game. In Thursday's edition of the journal PLoS Pathogens, scientists report on a man in the United Kingdom who was immunized with oral polio vaccine as a child and whose stool samples continued to contain live polio virus for 28 years. Researchers have figured out the reason. This individual had an immune disorder that can affect the ability of the immune system to kill the weakened live virus that's contained in an oral polio vaccine and that, in healthy people, briefly lives in the digestive tract. The virus that he shed in his stool was potent. When samples were injected in laboratory mice the mice became paralyzed. But researchers also found that the strain of virus found in the stool was readily neutralized in lab tests of human blood. "This virus is no different from any other polio virus," says Martin. "If people are properly immunized, there is no reason for infection. 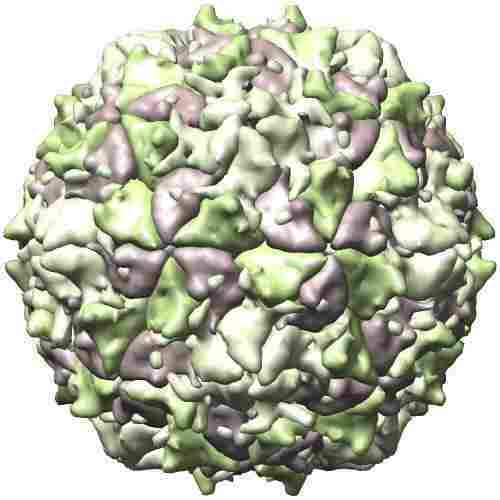 "It's not known how many people continue to excrete poliovirus long after their immunizations. Only 73 such cases have been reported between 1962 and 2014, and only seven of those involved infections lasting more than five years. But other researchers have examined samples from sewage systems in Slovakia, Finland, Estonia and Israel and found strains of vaccine-derived polio virus similar to those described in the study, suggesting that there are other individuals who may be similar to the man from the U.K. So even as the world gets ready to breathe a sigh of relief when polio is wiped from the last two countries still reporting cases, people shouldn't let their guard down. "We are at the end stage of polio eradication," says Martin. "But we still need to continue high immunization coverage and surveillance." Some people in both developed and developing countries refuse to get their children vaccinated. In the U.S., for example, about 8 percent of parents refused to immunize their children against childhood diseases because of erroneous beliefs that vaccinations are unsafe or unnecessary. When asked specifically about the 10 recommended childhood vaccines, most of those refusers said "no" to polio vaccine, according to 2011 study. And in Pakistan, where polio still circulates, militants have convinced some people that the polio vaccine is unsafe. People who refuse to immunize their children against polio, says Martin, are putting those children at risk now, and possibly into the future, from residual virus still alive in the guts of a few, rare individuals.